Presently we now have 13 people in our Club on Rebreathers. Members within our Club are curious about these machines and want to know more about how they operate, costs, types, advantages & disadvantages. With this thought in mind, I wrote this article in order that they can be pointed in the right direction. I have tried to keep it simple. In order to understand what a rebreather is and how it works, it is necessary to understand how conventional scuba works. All scuba divers use an apparatus presently known as Open Circuit (OC). This system was introduced to the general public by Emile Gagnan and Jackque Cousteau in 1943. From that time, scuba divers have embraced this system of recreational diving. 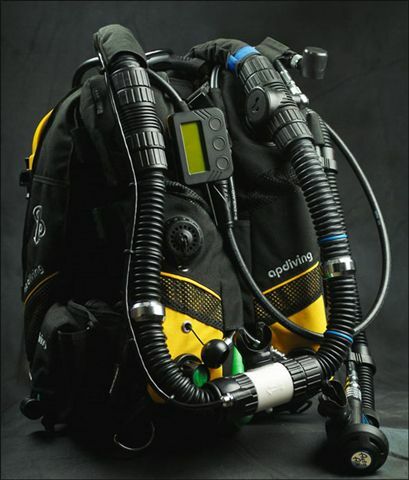 This system of diving employs the use of a compressed gas supply and a demand regulator from which the diver breathes. The exhaust gas is discarded in the form of bubbles with each breath, hence the term "open-circuit". Statistically speaking as more and more people head in the direction of "technical diving", (a term used for off piste diving) then Rebreather is the obvious direction. 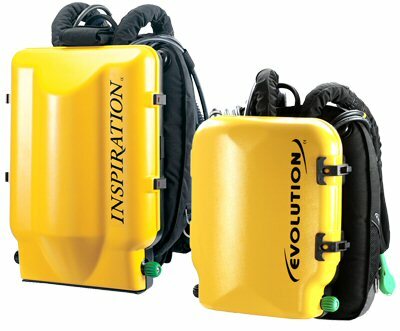 In my experience and knowing divers who are interested in "going rebreather", the main disadvantage is the initial cost, which will be around £6k, by the time you have your training done. These "Diver errors" can also be found in Open Circuit diver incidents, however with the Rebreather, the unit is less forgiving. However to the aware, educated, trained and "properly switched on" Rebreather Diver, there is no problem that can not be recognized and remedied. At all times the Rebreather diver carries an Open Circuit bail out cylinder. "If in doubt, bail out"
It is also excellent if you are able to do your course with another club member or diving buddy / friend. During your training you will learn from one another and be able to focus on a common goal. The companionship will also make the course more enjoyable. I was fortunate to have Jimmy Lyons, one of our club's founder members, do the BSAC Rebreather course with me in January. The memories of 10 hours diving, required in the 4 degree fresh water thermoclines of Donegal Bay will stay with us forever. It will also add to the residual value of the unit if the manufacturer is still in existence. 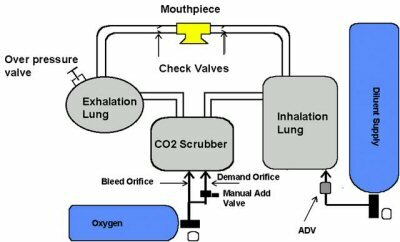 Ambient Pressure Diving - an entity of AP Valves - (Really its AP Valves with the name changed for legal purposes) the manufacturer of the Inspiration is far and away the largest manufacturer of Fully Closed Circuit Rebreathers, with shipped units numbering around 5,000 worldwide. AP Valves has been around for 30 years and it's a fair bet they will be around for as long again. This was a major deciding factor on my purchasing my unit from Ambient Pressure Diving. In order to secure the deal, the manufacturer / sales agent will promise you the unit within a week. That's almost impossible. If you purchase at the beginning of the summer, be prepared to wait. Most people buy at Easter at the beginning of the diving season. I would not do this. Firstly everyone is doing the same thing, so you may end up having to wait longer than normal. Secondly there is nearly always a Dive Show around October. Even without visiting the Dive Show, you can avail of the Dive Show Discounts. I was able to purchase my unit, approximately £1000 cheaper than the retail advertised price, due to a show price special. "These views are the personal thoughts of the author (written at 12.30am) and must / should not be a substitute to proper training"